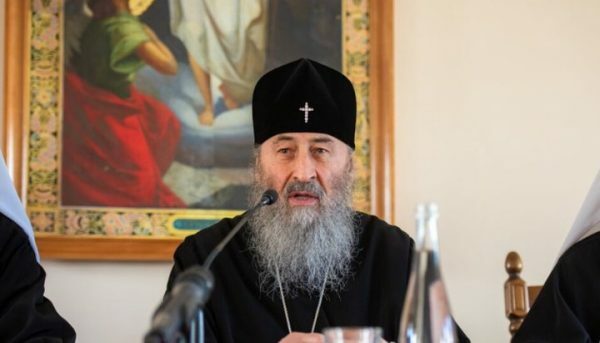 The tomos received by the Ukrainian schismatic church, the so-called “Orthodox Church of Ukraine,” is one of slavery, not freedom, His Beatitude Metropolitan Onuphry of Kiev and All Ukraine, the primate of the true Ukrainian Church, said at a meeting with the deaneries of the three dioceses of the Kiev Province at the Kiev Caves Lavra yesterday. “This notorious tomos—it’s a tomos of slavery, not freedom. All important questions are coordinated with the Patriarchate of Constantinople, which gladly answers and indicates how and what to do… It’s a comedy,” Met. Onuphry said, reports the Information Center of the Ukrainian Orthodox Church. The point was that we did not build two different patriarchates, but sought to create a unified Kievan Patriarchate, which would be recognized both by the Holy See in Rome and by Constantinople. We are aware that this kind of unity will be possible when the ecumenical process is crowned at the universal level by the restoration of Eucharistic communion between Rome and Constantinople. This is not utopian thinking, as some people call it. This is the goal of the ecumenical movement. And, as has been demonstrated in detail, Met. Onuphry noted that the canonical Church has more freedom than the schismatic-nationalist church. “We have absolute freedom… What prevents us from being saved? The Patriarch of Moscow does not prevent us; Constantinople now helps to become better. True freedom is freedom from sin, not from someone having an influence on us. It’s not those freedom that we have to locks horns for. Today our Church has all the freedoms necessary to effectively carry out our ministry,” His Beatitude assured the gathered clergy and hierarchs. Met. Onuphry also stressed that the Lord always sends us the conditions necessary for the common existence of people and for salvation. “God has placed us next to each other. We must humble ourselves before each other, we ‘polish’ one another like stones… So we live together, in this life together, ‘polishing’ one another, and we become worthy of eternal life and salvation,” the beloved primate explained.